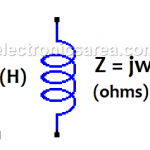 What is the Impedance of a capacitor – Capacitive reactance? The Impedance of a capacitor (Capacitive reactance) is the measure of the opposition to a change of the electrical current in this component. The impedance of an inductor (also called inductance) is the measure of the opposition to a change of electrical current in this component. 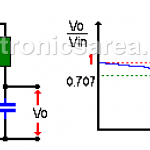 – The value of the voltage is the same on the capacitor and resistor. – The value of the current delivered by the voltage source, is divided between the resistor and capacitor. The current through the resistor and the capacitor is the same. 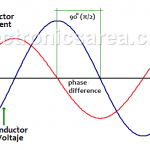 The voltage VS is equal to the phasor addition of the voltage drop across the resistor (Vr) and the voltage drop across the capacitor (Vc). Capacitor and Alternating Current (AC). Alternating current in capacitive circuits. Unlike the behavior of a capacitor in DC, the alternating current (AC) passes more easily through a capacitor. Electric power. Electrical power on a circuit with reactive load (reactance). How to obtain the current in a circuit having resistance and reactance.